In case you guys didn't know, my friend Leigh Bardugo's 2nd book, Siege and Storm, releases tomorrow. I an giddy. GIDDY. I had the good fortune to read it a few months back, but I'm already dying to read it again. To celebrate the upcoming release, I wanted to make Leigh a little present. 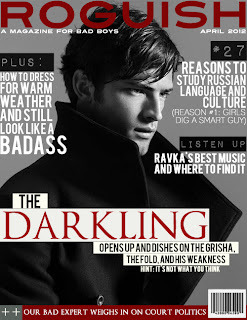 You might have seen the Darkling and Mal Roguish covers floating around the internet. I came up with Roguish magazine several years back after I made a fake magazine for zombies. And if zombies can have a magazine, then why not bad boys? 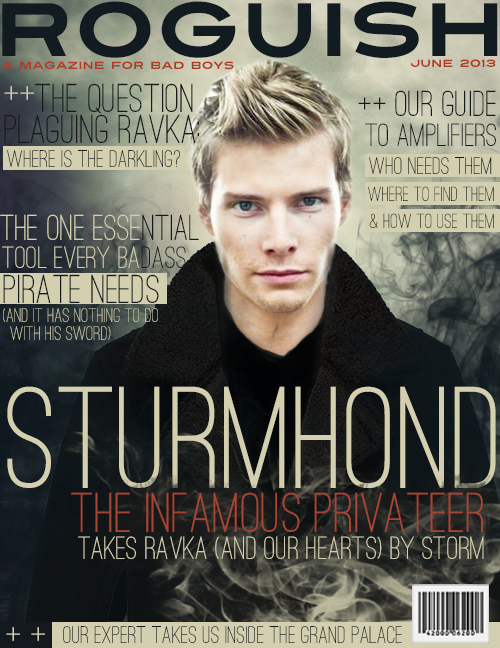 So, with that said, the present I made Leigh --- A Sturmhond Roguish cover! Now, run to the bookstore and camp out until they shelve Siege and Storm and BUY IT IMMEDIATELY. You will love Sturmhond, ladies and gentlemen. 11 comments on "SIEGE AND STORM"
I knoooow. I <3 the Darkling forever and always! Hah. Great cover, although I have to admit that I do like the one with the Darkling better, sorry! :D Anyways, I thought Siege & Storm was fantastic! An absolutely flawless sequel. No need to apologize my friend! I do too! Did you read Siege & Storm yet? Or are you thinking of Shadow and Bone? Omg. 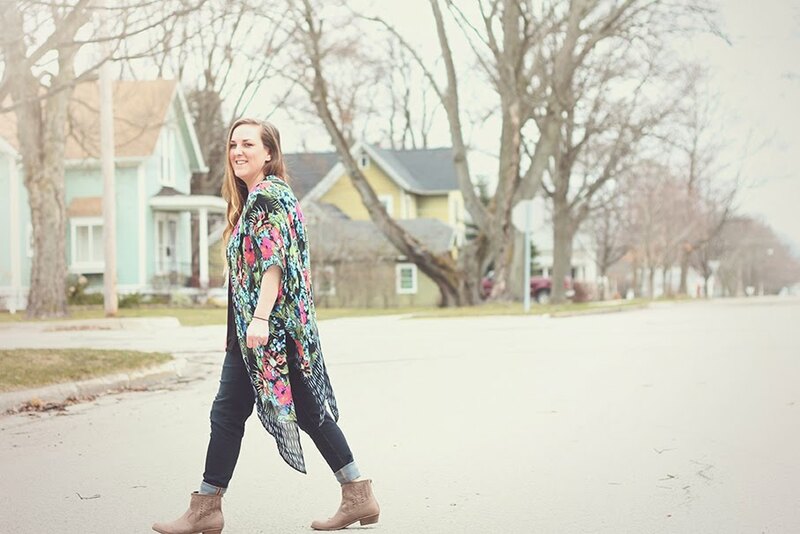 These are GORGEOUS. Sturmhond is one of my favorite characters ever, but my heart belongs to Mal. Your cover depicts him so perfectly.